Our understanding of criminal behaviour and its causes has been too long damaged by the failure to integrate the emotional, psychological, social and cultural influences on the way people behave. Violent crime, including homicide and sexual crime. 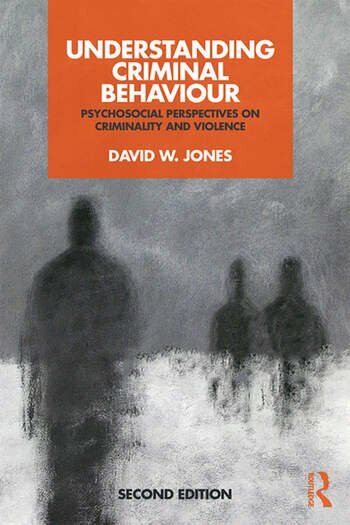 This new edition has been fully updated, including a revised opening chapter which offers an introduction to psychosocial criminology, up-to-date discussion of changes in the criminal justice system in the context of mental health, and two new chapters on race and crime, and public violence, extremism and terrorism. This book is essential reading for students taking a range of courses on criminal behaviour, criminological theory, criminal psychology and psychological criminology. David W. Jones is Senior Lecturer in Psychology at The Open University. He is also author of Disordered Personalities and Crime: A historical analysis of moral insanity (2016).